The winter season brings icy roads and slippery sidewalks, which can be very dangerous for people of all ages. Falls on ice can lead to bruising, muscle strains, fractures and even head injuries. 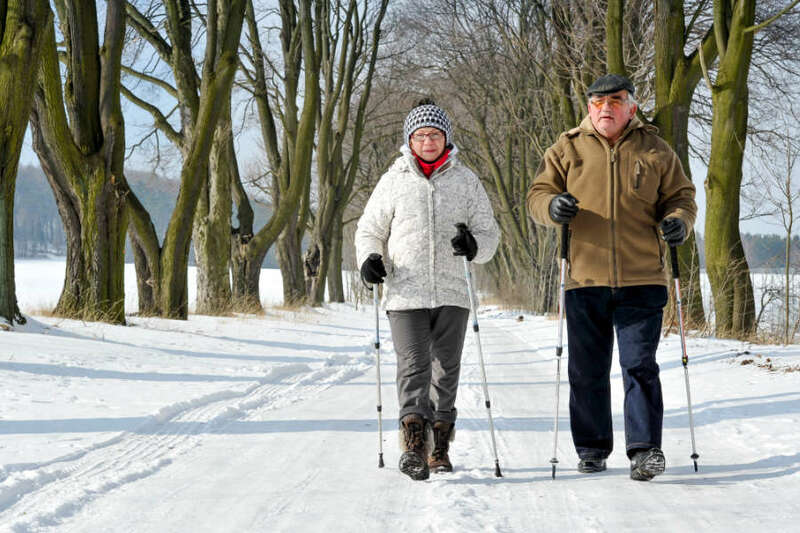 With all the slipping, sliding, and stumbling that often happens on icy trails and walkways, we at Leduc Physio want to remind everyone of the importance of balance exercises to help decrease your risk of falls this winter. There are three important systems that contribute to balance: the visual system, the vestibular (inner ear) system, and the somatosensory system. In order to improve your balance, it is important to challenge all three systems. To help you reduce your risk of falls, we have described some easy exercises that you can do at home to challenge these systems and help improve your balance! Set up a couch cushion on the floor in the middle of the room in front of your TV. Stand on the cushion (with two feet or one foot planted) while watching TV. See how long you are able to hold your balance: aim for 20-30 seconds as a starting point. Make sure to repeat exercise on other foot (if standing on one foot). This exercise is great as it engages your somatosensory and vestibular system while standing on the couch cushion and challenges your visual system as you watch TV. Start by standing on one foot a few feet away from the wall. Toss a tennis ball at varying points against the wall and reach to catch it while maintaining your balance on one foot. Try to keep your balance on for about 20-30 seconds then repeat the exercise on the other foot. If this is too easy, try throwing the ball at points on the wall further away from you or you can stand on a couch cushion while tossing the ball at against the wall. 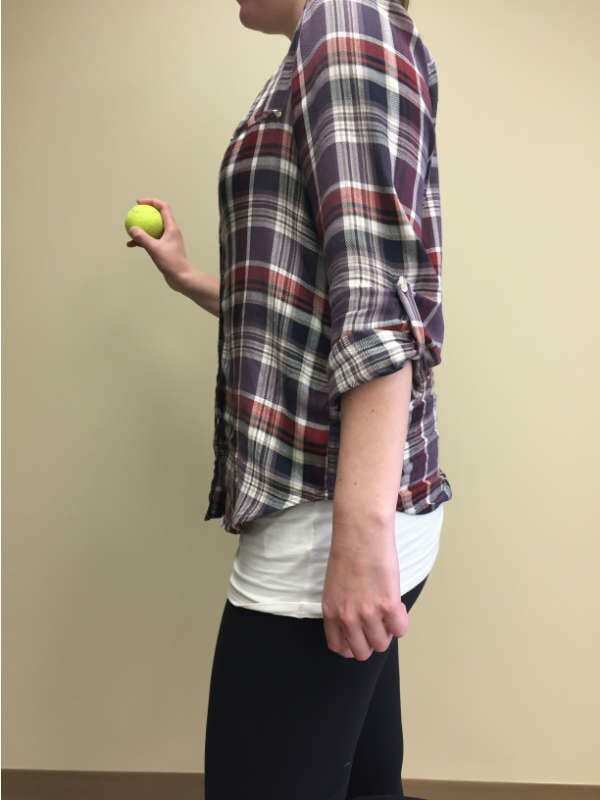 This is a great exercise as it challenges your balance by drawing your attention to another task (tossing the ball) while trying to maintain your balance on one foot. Start by attaching a Theraband to a sturdy object (door handle, stair railing, etc). 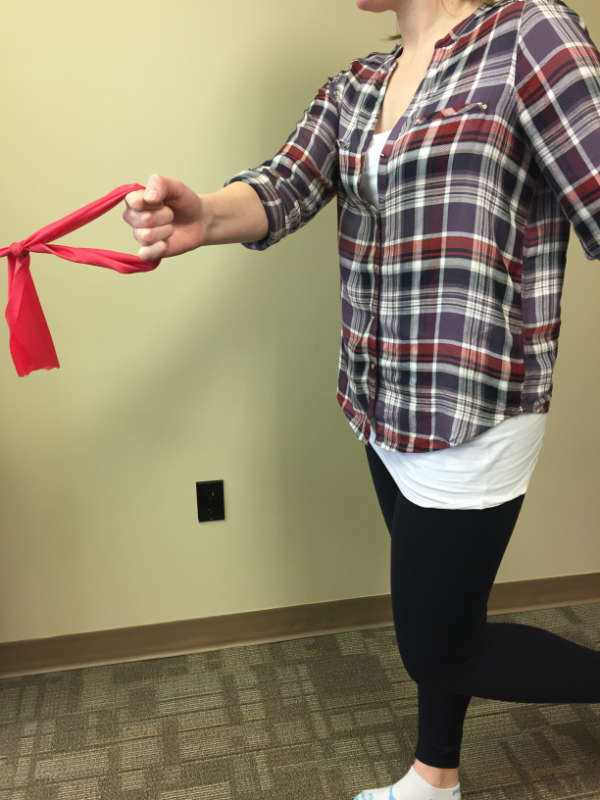 Then stand on one foot while holding the Theraband (or any elastic exercise band) and pull the band in multiple directions while maintaining balance on one foot. Try to do this for 20-30 seconds then repeat on the other foot. As with exercise 2, this exercise challenges your balance by causing your to reach outside of your base of support and drawing your attention to another task while maintaining your balance on one foot. The important thing to remember about balance exercises is that you need to find a degree of difficulty that is challenging yet safe. Try to aim for a challenge level that causes some wobbling and swaying, but not so much that you are worried about falling. There are many ways to make balance exercises easier or more challenging, find the level that works for you! If you have any concerns regarding your balance or questions on how to improve it, book an appointment with a physiotherapist today by calling (780) 980-5443. Healthy Alternatives to Grandma's Holiday Feast!